If you have ever attempted to photograph children, you know that their attention span lasts, on average, about 2 seconds. 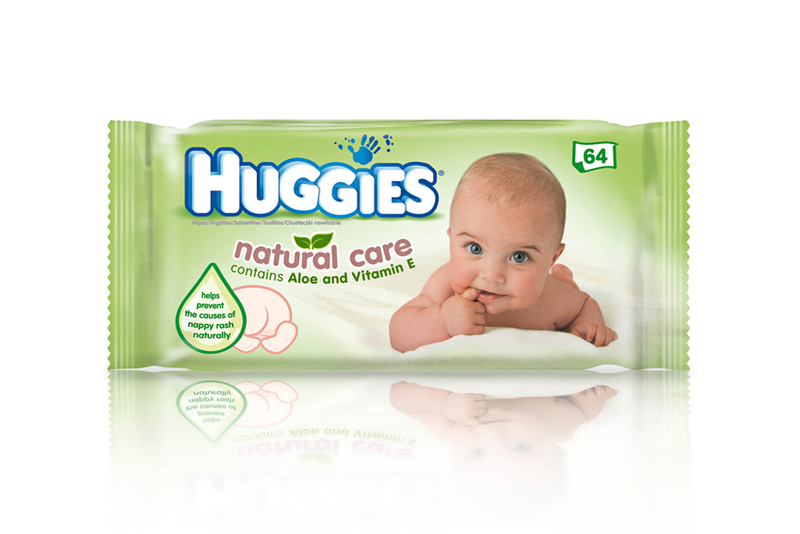 You might have to deal with pouting, crying or worse – a borderline explosion in their diaper. 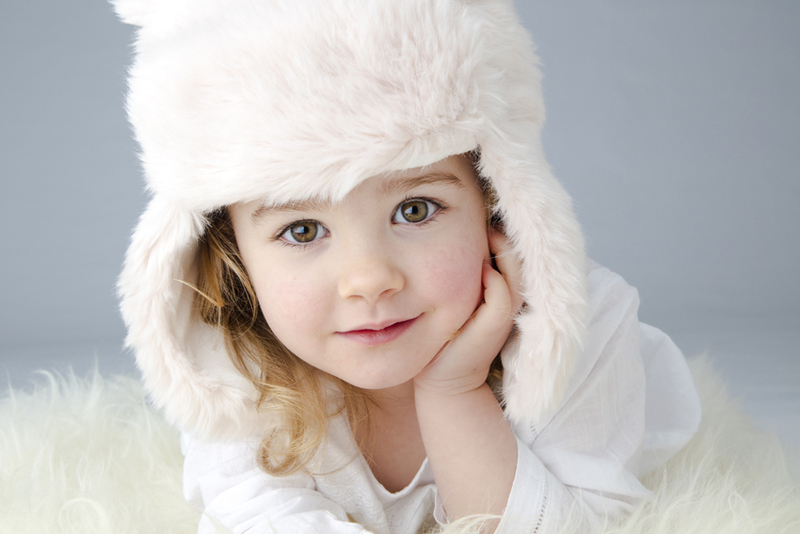 Professional kid photographers have a special knack for overcoming these obstacles and capturing those adorable expressions; thus, they are some of the most talented photographers in the advertising photography game. We were lucky enough to interview the expert himself, Matt Harris, and learn some of his secrets to kids photography. Matt has been working in the advertising industry since 1992 and has received numerous accolades over the years including awards by Fuji, Kodak, Polaroid and more. Hear about his journey into kid and advertising photography and what it takes to succeed in the industry. And try not to smile while you look at his pictures of these adorable kiddos. Production Paradise: How did you get started in photography? What were the challenges when you first started out? Matt Harris: I started out in the early 90’s, when advertising and design photography was a great business to be in. Companies had huge budgets and – perhaps because all the technical conundrums involved with shooting on film – there were only a handful of competitors photographing kids. I won an Association of Photographers Merit Award with a shot of two cheeky kids and a tomcat. The phone started ringing off the wall with jobs from big agencies like Saatchi & Saatchi, DMB&B, Lowe’s and numerous global campaigns for multi-national clients like Nokia and McDonald’s. Shooting images of kids – and especially babies – on medium-format transparency film was technically very demanding and we often missed “killer” shots because the film ran out or the maxed-out flashlights didn’t re-charge in time. Unlike many other photographers of my generation who pine for the “good old days”, I really LOVE digital imaging. It lets you concentrate on making beautiful images and, whatever anyone tells you, the quality is hugely superior to film. Shooting really special, high-quality images, is what it’s all about and anything that makes that easier should be embraced with both hands. Production Paradise: How would you describe your specific style and brand? Matt Harris: I’m known for photographing kids, and babies in particular. Techniques and styles come and go: vacuous stares and a conscious lack of engagement with the photographer may be all the rage in the competitions right now, but there will always be a demand in the advertising and design industry for arresting, high-quality images of happy kids communicating directly with the camera. 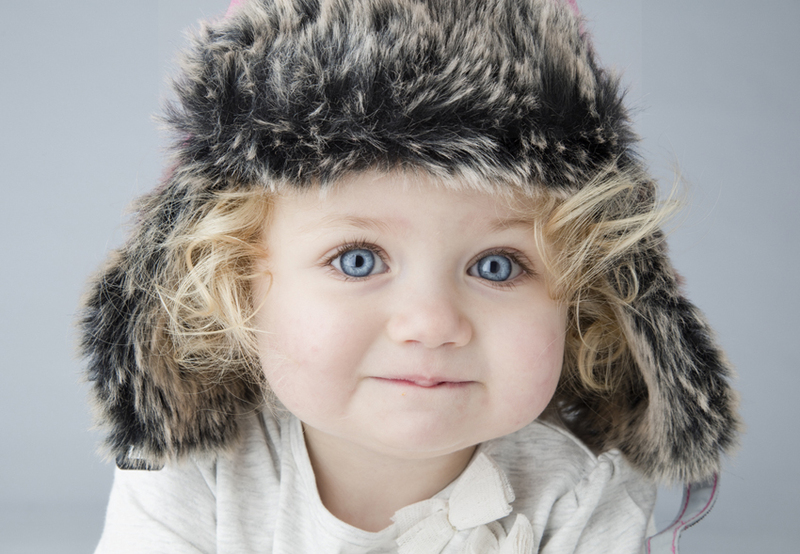 Once clients see how we work, they often come back and ask us to shoot older subjects too, and I love it when we are asked to photograph adults or even just older kids – it’s like falling off a log compared photographing babies. That said, photographing young kids and especially babies is what I thrive on – it’s a real challenge, and one I really enjoy. Production Paradise: You have received numerous accolades from Kodak, Fuji, Polaroid, the Association of Photographers and many more. What differentiates you from other photographers in your field? Matt Harris: I work for lots of big, blue-chip clients like Carrefour and Kimberly Clarke. They come back to me again and again because we know how to find really attractive kids, and we know how to get those kids – even babies – to relax, laugh and look RIGHT at the camera. A lot of my competitors use mum or dad to make the baby smile, but this means that there is no direct eye contact with the camera. After years of experience, we’ve worked out ways to make the baby laugh AND look right at the camera at the same time. 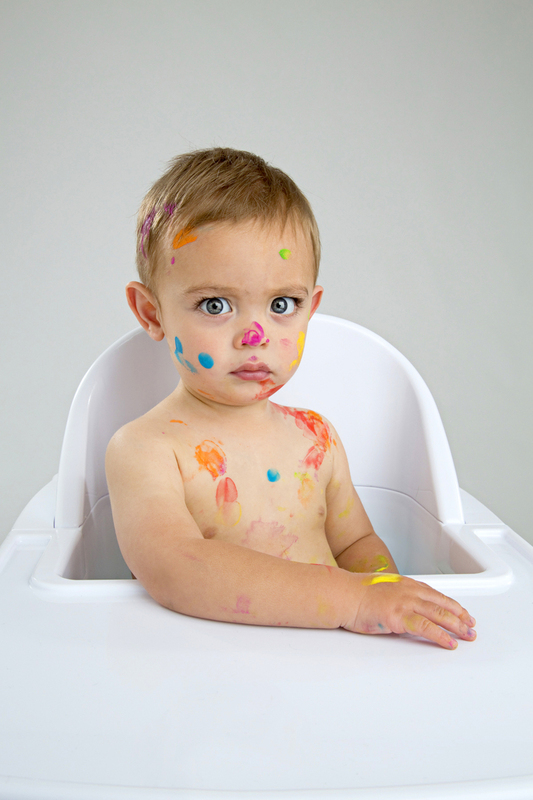 Its easy to make kids laugh – just look stern and tell them NOT to – but babies involve a lot more creative thinking. 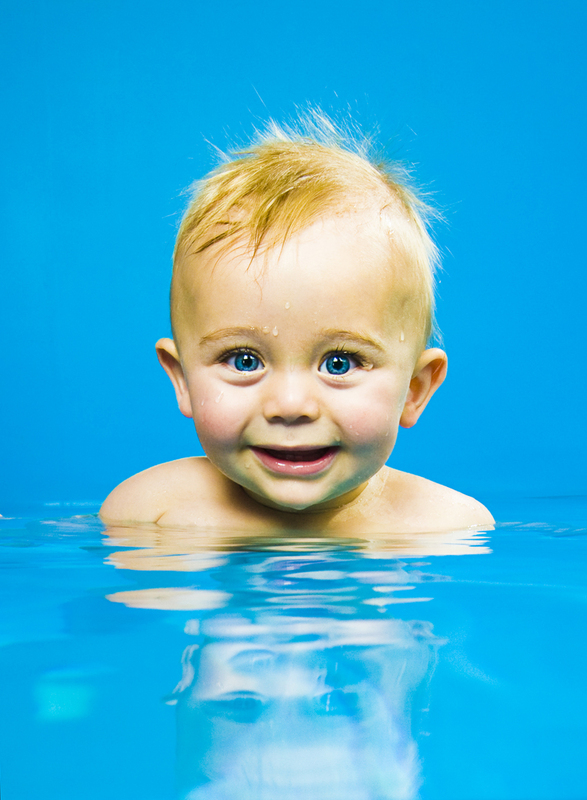 Images where the baby looks RIGHT at the camera are often so much more appealing than those lacking direct eye-contact and if you know how to make it happen, you can create very arresting images. Arresting is the key word: If you’re using babies to sell products, you don’t need to do anything too complicated. 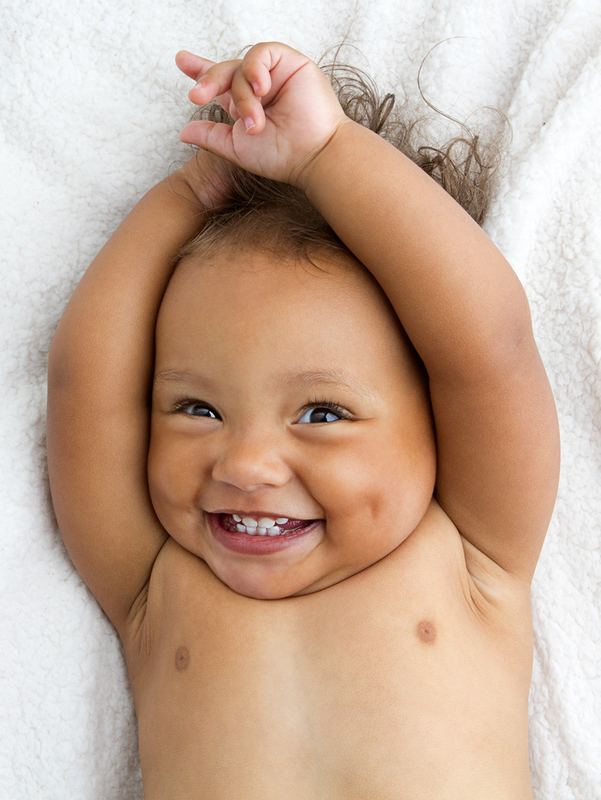 A beautiful or striking baby smiling or laughing directly at the camera is essentially looking right at the viewer, and thus, it makes an irresistible, attention-grabbing image. If the image ARRESTS the target viewer, your image is almost certainly doing its job. Production Paradise: Kid photography can sometimes be difficult. 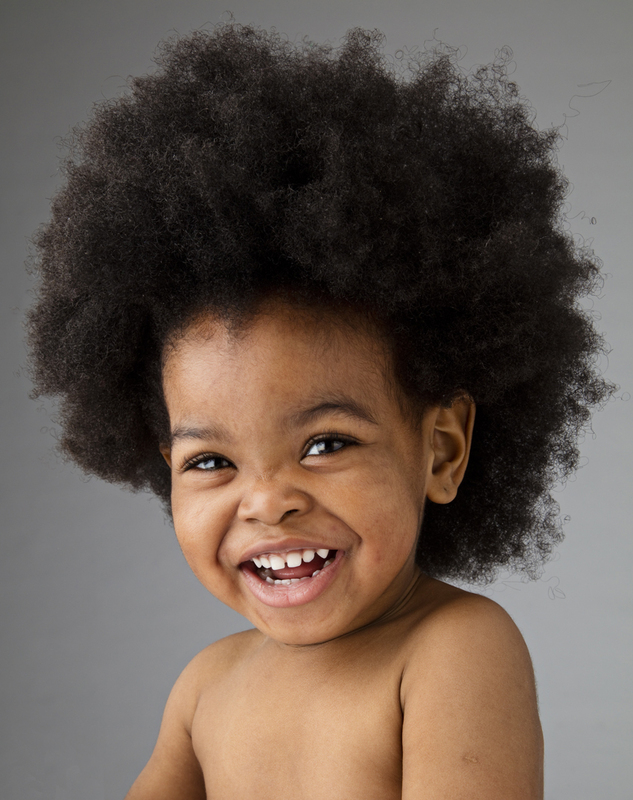 Can you tell us your secret to getting children and babies to smile and do what you require? Have you ever had unruly participants? 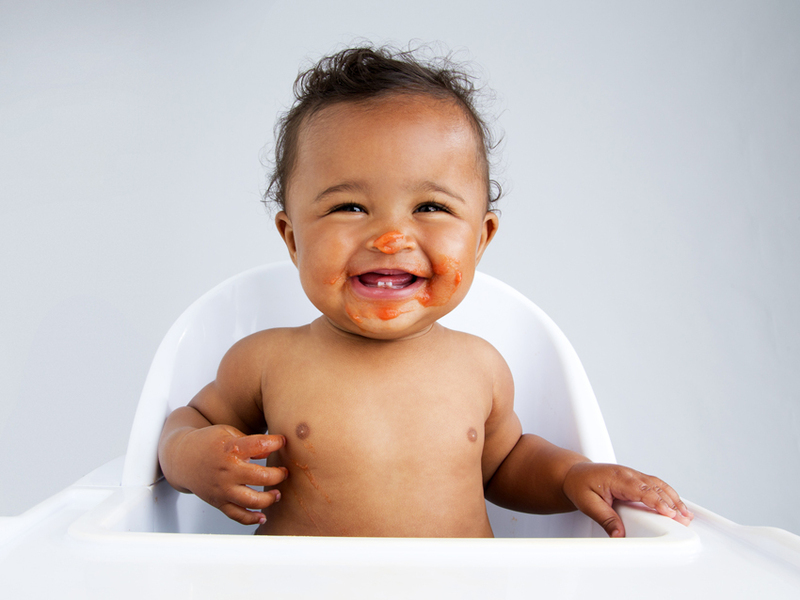 Matt Harris: We have a million tricks to make the babies smile – every kid is different, and it is important to assess how robust the subject is. If a baby is confident we use noise and surprise to get a reaction, but a more delicate baby needs a quieter, more subtle approach. I have a great team, and everyone is sensitive to what is required the moment a baby comes on set. Yes, we do get LOTS of unruly participants – and that CAN be a good thing – I LOVE boisterous, confident kids. That said, I always try to persuade clients to invest in plenty of good kids on set as an insurance policy – as toothaches, colds or just getting out on the wrong side of the bed can mean that your “favourite” kid from the casting just isn’t going to play ball. Production Paradise: What is the most rewarding aspect about your job? Matt Harris: The moment when a baby beams right at you through the camera lens is really special – there is no formula to make it happen, and some kids can be a Chinese puzzle, but we always get our shot and we have never been asked to re-shoot. Unlike the “good old days” of silver halide and the long, nervous wait for the film to come back from the lab, digital photography means that you can see the image instantly and KNOW that you have captured that special moment. It’s a real pleasure when you hold out the camera’s LCD display and see your client’s face light up. Production Paradise: What advice would you have for aspiring advertising photographers? Matt Harris: Advertising photography is tough. There are a lot of good photographers out there, and digital imaging has made it a lot easier for creative people who are not technically minded to compete as photographers. If you want to make it as an advertising photographer, you need to have something special – a “unique selling point” that marks you out from the competition. Making that baby laugh AND look right at the camera is something we know how to do, and you need to find a similar “signature” technique. 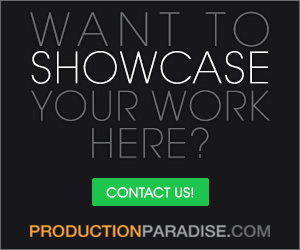 Production Paradise: How have you benefited from being a Production Paradise member? Matt Harris: Production Paradise gets our images in front of all the right people, and that’s all you can ask of a promotional tool. If you’re doing good stuff and you put it in the Production Paradise ‘window’, the phone will ring. We would like to thank Matt for taking the time to speak with us. You can see more of Matt’s work on our London Showcase magazines, Kids Photography Spotlight magazines, and find Matt’s full photography portfolio on his website.